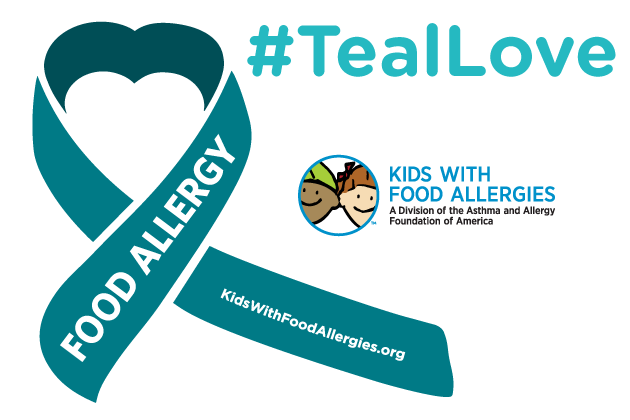 Do you love someone with food allergies? Odds are you do! Join us on Friday, 4/19 after drop off for a Project Workshop focused on Food Allergy Awareness. We’ll have a presentation from parent Katie Schwalb and do a project to promote awareness in the school. Thank you to Geary, Paul, and Alex for submitting your biographies to be considered for our three open parent board seats. Voting will take place at the May Council Meeting. Faculty board candidate biographies will be published later this month. Voting will also take place at the May Council Meeting. My name is Geary Layne. Our family currently has two students at Horizon, a first and a second grader. Next year, my older two children will be returning to Horizons, as a fifth and a sixth grader. 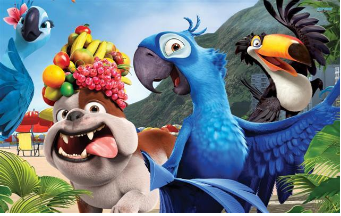 My job allowed me to telework while our family took a partial year to travel. The hardest part of our decision to travel was giving up our spots at Horizons and we are so glad that all our children will be back next year. I have a Bachelor’s in Applied Math and Master’s in Computer Science. I am employed by CU and work for/at NOAA. Mostly my job entails analyzing National Weather Service forecasts, primarily for use by the FAA, as well as developing Decision Support Tools to aid in the management of air traffic. None of which make me qualified to serve on Horizons’ School Board. I feel passionate about the importance of a positive educational experience for every child. I’m truly thankful that we found the Horizons community that cares so much to nurture each child as individuals and strives to support their growth into socially aware well round adults. I have been interested in serving the school and community for years, our first child started in 2013, but felt unqualified. To better understand the school, its’ past and its’direction forward, I have attended approximately two years’ worth of board meetings, including almost all this year. It is this experience that I believe is most valuable. I am currently working on the bylaws committee and am familiar with much of the charter renewal work. I would be honored be a board member. Like others, we are working on summer plans and there is a chance that I will be away for June and half of July. If away I’ll be ready to continue the challenging and rewarding work of the board when we return. My name is Alex Osias. My wife, Tiffany, and I have 2 children at Horizons. 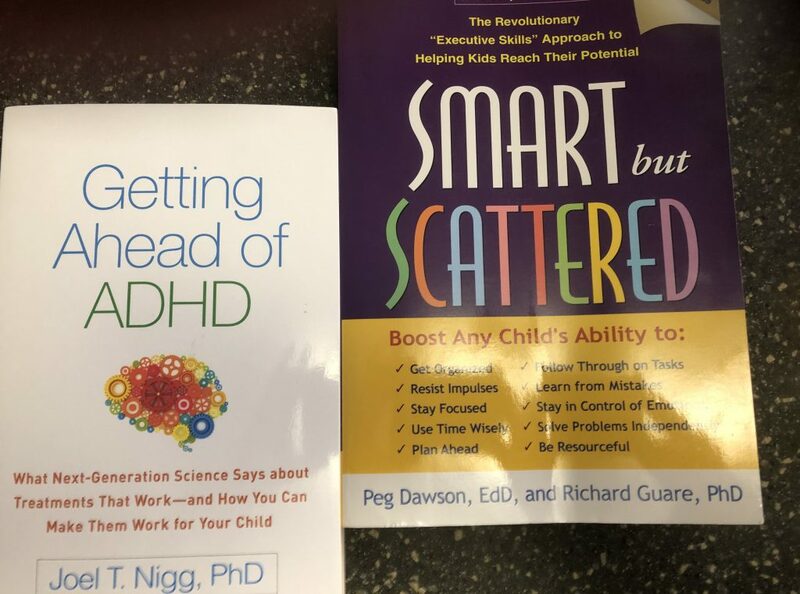 Our son is in 2nd grade and our daughter is in 4th. I moved to Colorado mostly to ski, however, I also managed to graduate from the University of Colorado with a degree in psychology. Four years later I went right into the University of Denver Master’s of Social Work Program. After 10 years in the field as a licensed social worker I took a sabbatical to raise our children. I have spent the last decade chasing children around, volunteering and fundraising for programs for children with diabetes, and starting my own consultative practice. I have been attending council and board meetings all year. Those meetings have been educational and enlightening and have inspired me to get engaged even further. I would really like to do all that I can to preserve our mission, engage with the parent community and aid our faculty and administrators in renewing our charter. I have a 7th grader and a 4th grader at Horizons this year. My son Cole started at Horizons in kindergarten so we have been a part of this community for quite some time. 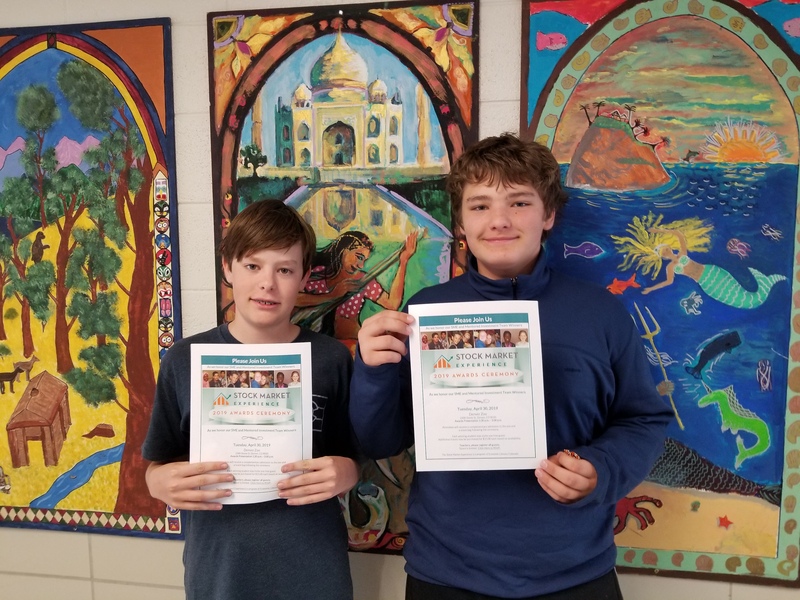 Both boys have thrived at Horizons and I want to be a part of not only their continued learning experience, but also help create a great environment for students in the years to come. This is an important time for us as a school due to the charter renewal process among other changes. Horizons K-8 is the type of school that I wish I had been able to attend as a kid myself. For instance, I didn’t discover mind maps until college, but at Horizons my son Caleb started using them in 2nd grade. I value the environment that Horizons has to offer. And I would like to be a part of continuing that legacy by being a board member. Rest assured that students wishing to eat a hot lunch on Monday 4/15 (most other BVSD schools are closed) will be served. The menu may not be the usual Monday pizza but it will be yummy! Spring Fling Dance for 7th and 8th Grade Students - April 26! 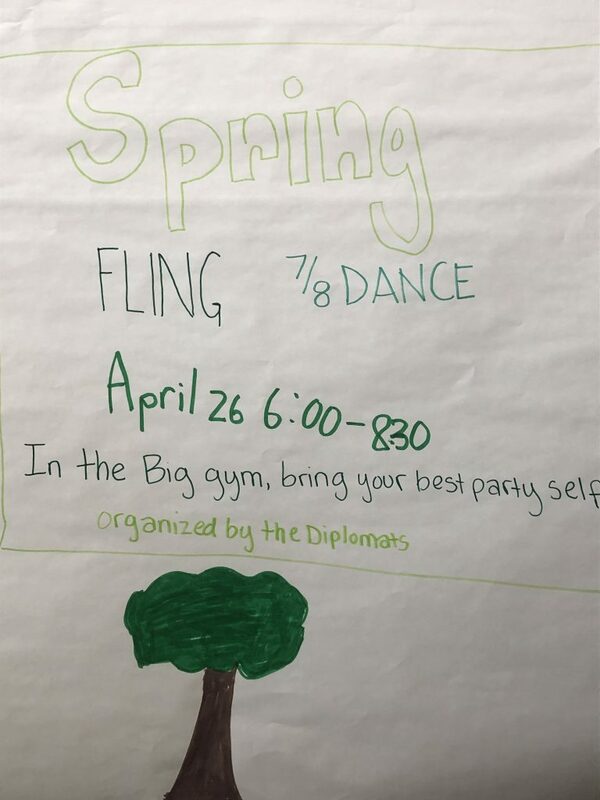 The Spring Fling is a 7/8 Dance, organized by our Diplomats club. We are excited to host this fun event as we say farewell to our 8th-grade community. Please consider being a chaperone for the evening. If you can help, please contact Cece. Our dancers will want a snack break! Can you provide? Look here to sign up. 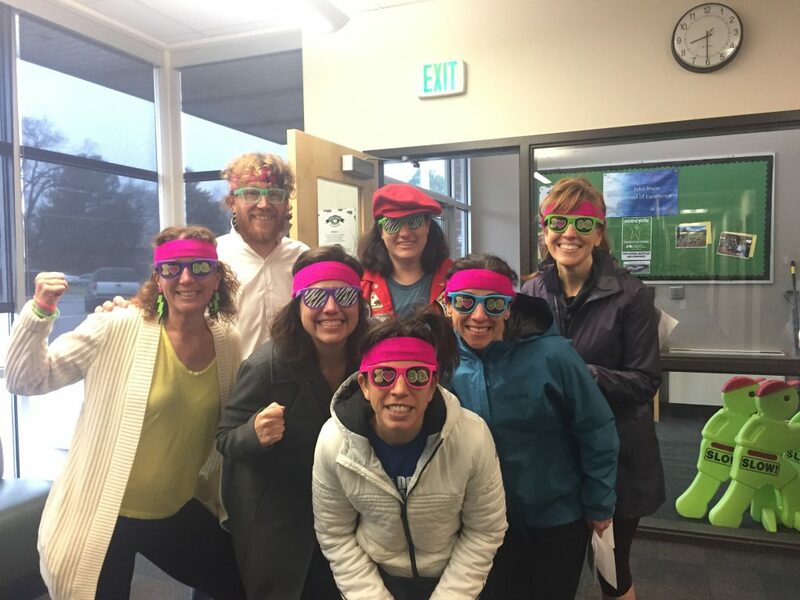 We are so excited to celebrate with the school community this weekend, to share gratitude for our faculty and staff and to support the learning experiences at Horizons. Tickets will be available until midnight tonight, but also available at the door, so peg those pants and come join us for heavy apps, delicious beverages and the best parent band west of the Mississippi (true story). Also at 2 pm, families who unfortunately can’t participate in person can sign up to be remote bidders–so you can still win the amazing teacher treats, camps, activities and more! Looking forward to seeing you all at eTown Hall tomorrow from 5:30-10 pm. We’ll see you there in your 80s wear! 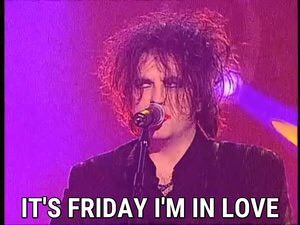 (or in whatever you want to wear. We love you even if you aren’t wearing a leotard). Here are some pictures from the science field trip I took with the 7th/8th grade students yesterday. 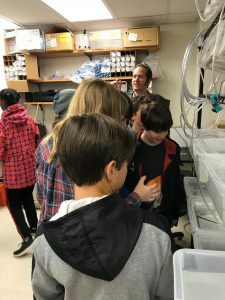 Students enjoyed visiting science labs in the Department of Ecology and Evolutionary Biology at CU. 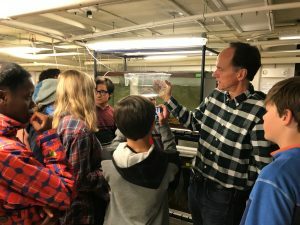 They had opportunities to examine fish, lampreys and other animals to better understand how genetic mutations work in nature and how traits can be manipulated in a lab setting. This helped support the research they are now doing in class. Thanks, Dr. Madeiros for this wonderful opportunity! 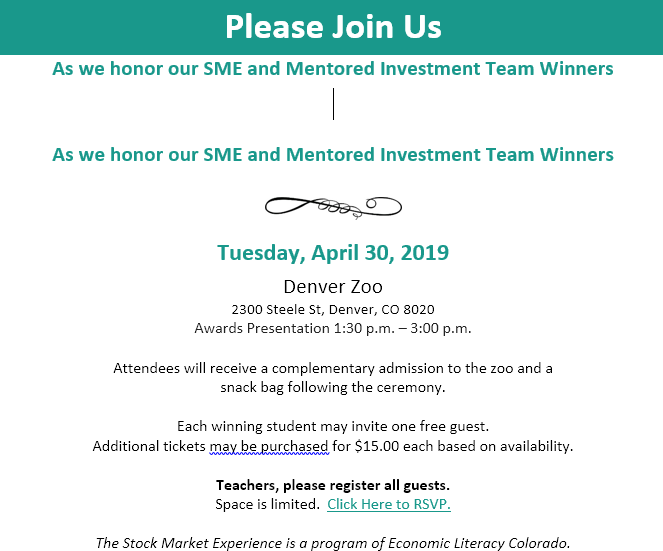 Congratulations to Anson and Briac for winning 3rd place for the Stock Market Experience in our region! We are really proud of their accomplishments.